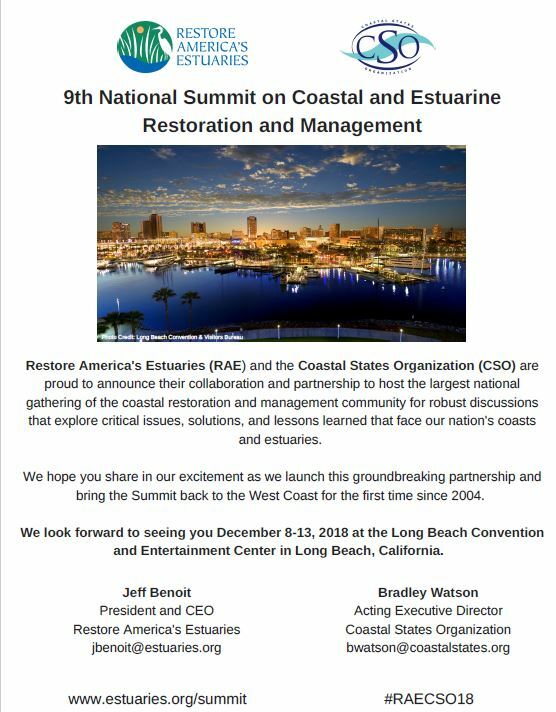 The Coastal States Organization represents the nation’s Coastal States, Territories & Commonwealths on ocean, coastal and Great Lakes resource issues. Dive deeper into some of the many coral reef conservation projects underway across the U.S. and internationally with NOAA's project explorer. Working waterfronts represent a valuable economic engine for coastal communities, but quantifying this contribution can be challenging. To address this challenge, the NOAA Office for Coastal Management worked with partners to create a methodology for use by local leaders to estimate the economic contribution of their working waterfront, or “local ocean economy.” Read more. Use this quick reference to spark ideas on how your coastal management program or reserve can leverage FEMA programs and resources for planning, funding, engagement, and training to support coastal resilience, risk reduction, and storm preparedness goals. Identify who to contact in your FEMA region or at your state emergency preparedness and response agency. Take advantage of NOAA support to achieve community resilience through non-traditional, multi-partner approaches. Read more. The USACE New England District has revoked the state-wide General Permits issued in February 2015 and replaced them with new Massachusetts General Permits. Read more. "Using the recent ocean planning process in the US Northeast, this paper assesses the perspectives of stakeholders who did not participate in a marine spatial planning (MSP) process. Since it is more challenging to find and survey stakeholders who did not participate in a process than ones who did, the authors chose a smaller study area – Massachusetts Bay – to examine." Read more. "Even though it’s only 152 feet above sea level at its peak, Avery Island is one the highest points in the Gulf Coast. A two hour drive west of New Orleans, it sits atop an enormous salt dome that bulges from the earth, elevating the land above the swamps and bayous that surround it. A generation ago, it was unthinkable that this natural fortress could be overcome by water." Read more. TNC-led Science Uses Insurance Industry-based Models to Show Nature is Very Cost Effective for Reducing Risk from Storms and Sea Level Rise. Read more. The Maryland Department of Natural Resources and University of Maryland Center for Environmental Science will bring together more than 200 local officials, business and industry leaders, resource stakeholders and users, scientists, and federal and state agency experts for Maryland’s first State of the Coast conference. The event takes place May 21-23 at the Hyatt Regency Chesapeake Bay in Cambridge. Read more. On April 20, the Request for Responses for the Massachusetts Office of Coastal Zone Management grants was released. More information can be found here. The Latest Ecology, Engineering, and Economics of Natural Infrastructure with Mike Beck of The Nature Conservancy and the University of California Santa Cruz. Wetlands and reefs serve as barriers, buffers, and breakwaters from rising seas, swell, and storm surge. Until recently, it was not possible to put a value on the flood damages – to people and property – that these coastal habitats avert. This is changing rapidly, however, and recent studies are showing surprising results. Salt marshes can reduce annual flood damages by at least 15 percent. Mangroves can reduce annual flood damages to people and property by 25 percent across the entire nation of the Philippines – a nation that sees more super storms and typhoons than almost anywhere else. And coral reefs reduce up to 97 percent of wave energy that would otherwise hit coastlines, averting hundreds of millions of dollars in flood in flood damages every year. The protection from coastal habitats is cost-effective as well, particularly when compared to built or gray infrastructure such as seawalls or dikes. A new study uses insurance industry-based models to show that every $1 spent on restoring marshes and oyster reefs on the American Gulf Coast reduces storm damages by $7. This talk will summarize high-level findings from the latest research on the ecology, engineering, and economics of natural infrastructure. Webinar hosted by the EBM Tools Network (co-coordinated by OCTO and NatureServe). Register for the webinar here. Registration is now open for CHOW 2018 happening June 5 -7 in Washington, D.C. More information on the events happening and registration can be found here! Registration is now open for the 5th National Working Waterfronts and Waterways Symposium, held in Grand Rapids, Michigan, on May 14-17, 2018. The symposium provides a forum for stakeholders from across the U.S. to connect and showcase innovative, successful, and timely solutions to waterfront and waterway issues. Working waterfronts include lands and infrastructure that are used for water-dependent activities, such as ports, marinas, recreational harbors, fishing docks, and hundreds of other places across the country where people use and access the water. Nature offers a powerful set of tools for addressing hazards like flooding and erosion. Nature-based solutions use natural systems, mimic natural processes, or work in tandem with traditional approaches to address these specific hazards. Communities across the country- along rivers or coasts, large or small, rural or urban - can incorporate nature-based solutions in local planning, zoning, regulations, and built projects to help reduce their exposure to flood and erosion impacts. This course is designed to give environmental professionals the necessary tools to write a successful and comprehensive Communications Plan. These plans can be used internally, to manage change or initiatives within an organization, or externally to communicate a message to stakeholders and/or the public. For more information, click here. Using Mitigation and Sustainable Design Techniques to Reduce Stormwater Impacts and Increase Storm Resiliency. For more information, click here . The 2018 National Wetlands Awards - Now accepting nominations! The views expressed in articles referenced here are those of the authors and do not represent or reflect the views of CSO. 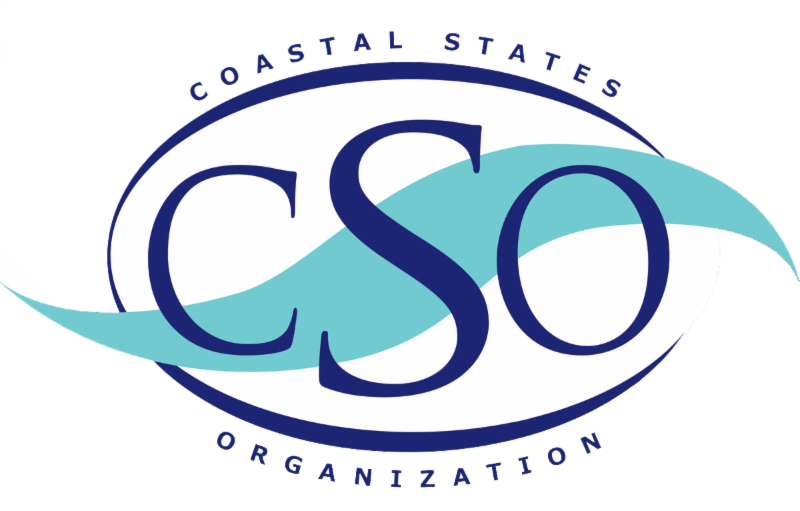 If you have a news item or job posting to include in future CSO Newsletters, please send an email to: gwilliams@coastalstates.org with a subject line: "Newsletter Content". Please include the information to be considered in the body of the email. Please note: CSO reserves final decision regarding published newsletter content and may not use all information submitted.